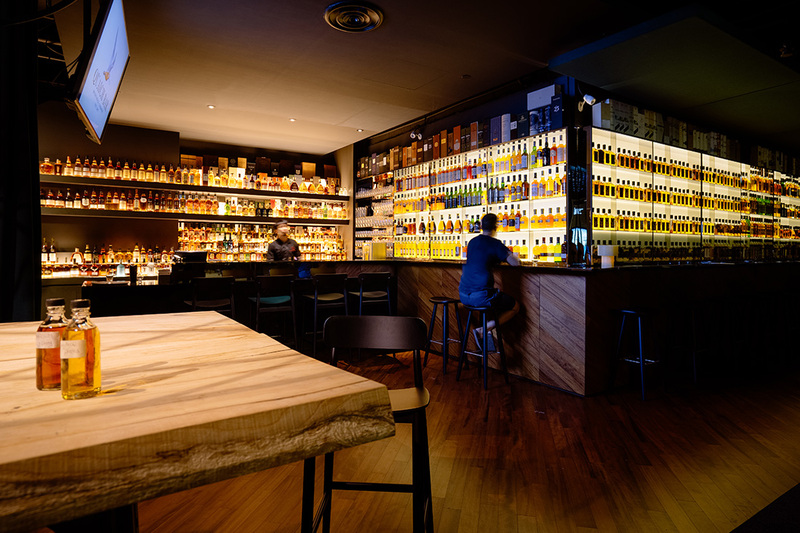 Barcelona-based Lagranja Design celebrates the art of whisky making and imbibing in a cosy, yet contemporary reinterpretation of a traditional whisky house for the second outlet of Quaich Whisky Bar in Singapore. A true whisky connoisseur knows that behind every good whisky is a story of its making that begins long before being bottled up and shipped to its final destination. As befitting of a true whisky house and store, Quaich Whisky Bar, located in Norman Foster’s South Beach development in Singapore, celebrates the process of whisky making and tasting as one continuous journey, indulging its patrons’ visual senses and taste buds in a well-rounded, multi-sensorial, epicurean experience. 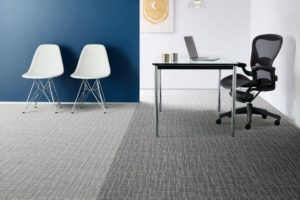 The thought process behind the design for Quaich’s second outlet began with the most fundamental of ideas. The design team at Langranja Design wanted to start off the project by familiarising itself with the practice of whisky making at its most basic – that is, by reimagining one of the most essential whisky making tools in a variety of different materials to get a feel for the whisky making process. 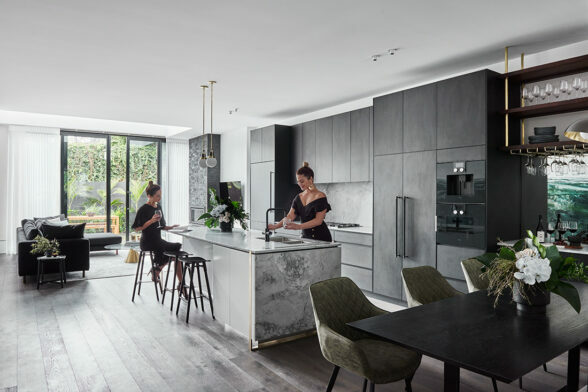 The Quaich, a shallow whisky drinking cup and the titular name of the bar – became the inspiration for Lagranja’s team, who reinvented the tool’s usual silver or pewter construction by sculpting it out of solid oak and porcelain. 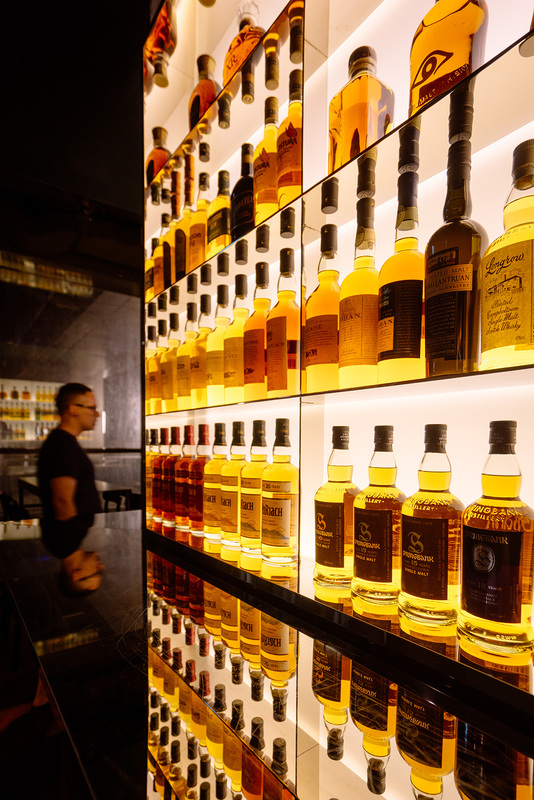 One hundred of the final porcelain Quaich pieces are displayed behind the whisky bar’s signature crystal wall. 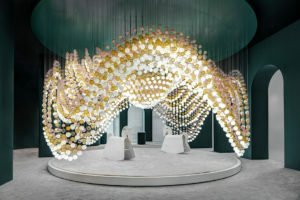 As part of the experience, the Lagranja team conceptualised the 125-square-metre bar as an intimate and welcoming space, with a large chrome structured wooden table greeting the incoming guests at the entrance and inviting them to try the products underneath the generously sized, still-shaped lamp overhanging the tabletop. 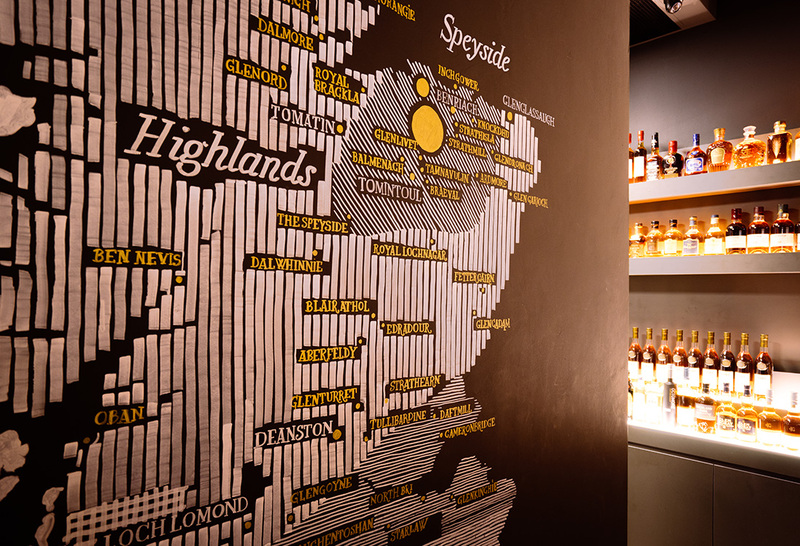 Along with the table, the team also dedicated a large wall to a hand-painted map of Scotland’s whisky production hotspots to provide an aesthetically appealing, geographical refresher to novices and connoisseurs alike on the origins of the beverages of their choice. 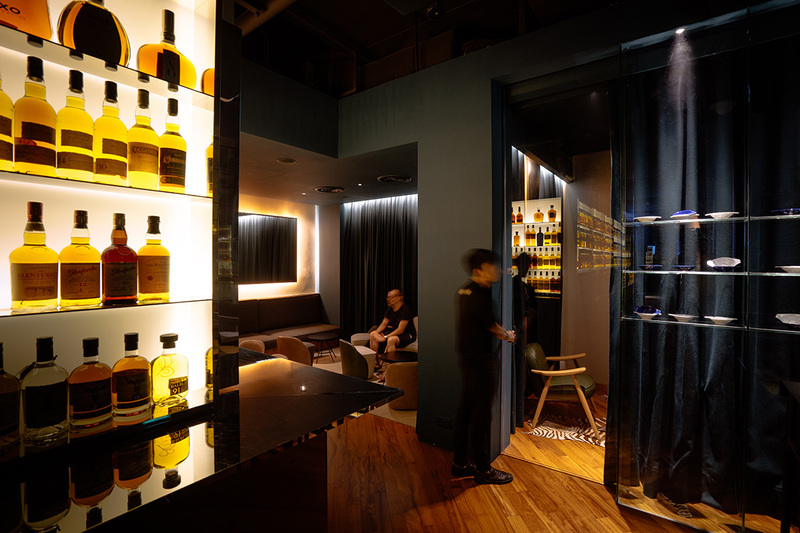 Beyond the entrance, one of the greatest whisky selections in Asia reveals itself on a proud exhibit to the eager customers via a lengthy formation of whisky-lined shelves. Illuminated by backlit backdrops of diffused light and tinted with deep shades of yellow and amber via the sieved light projected by whisky bottles, the bar space comes alive with warmth and invites its visitors further in, to find a place to have an uninterrupted tipple and an occasional smoke at the rear side. 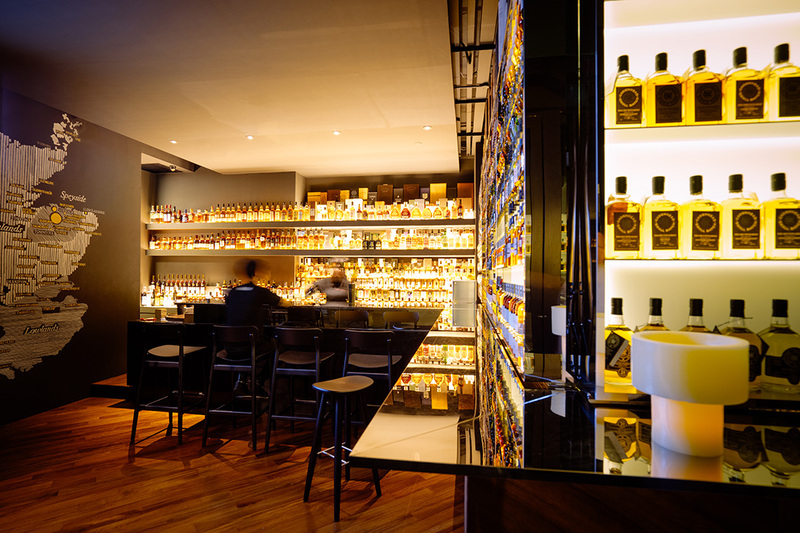 Everything at the bar, as crafted by Lagranja’s multidisciplinary studio, fits the space and highlights the hands-on process behind the making of the whisky. 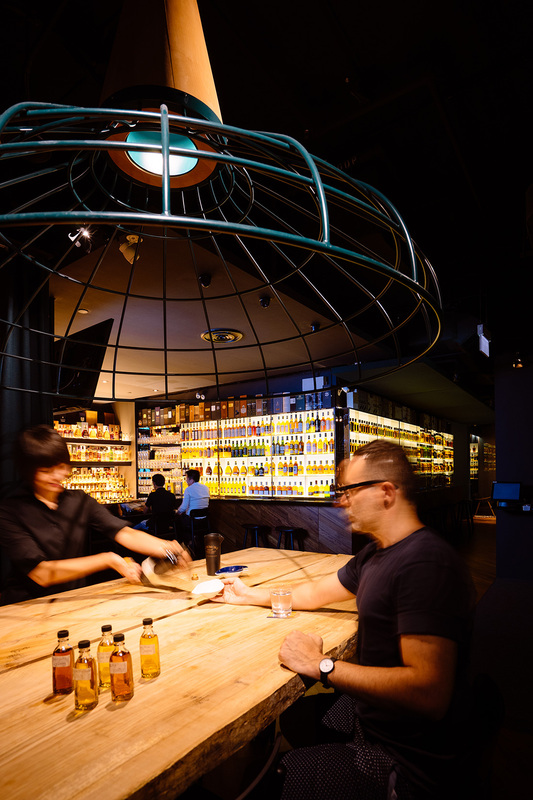 The design team used a mixture of traditional materials, like dark Iroko wood, leather and velvet, to preserve the authentic feel of the traditional whisky bar aesthetic and stainless steel and glass to give the space a more contemporary feel. 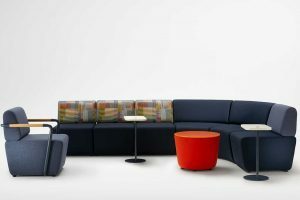 Lagranja’s expertise as a multidisciplinary studio came in handy with the team’s meticulous selection of furniture, including the minimal seaters and the high tables, to create a comfortable and sophisticated environment, befit of an chic, yet laid back, whisky bar. 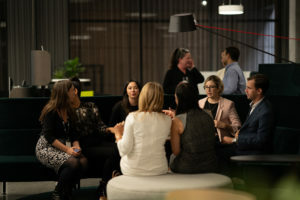 “Our ultimate goal is really to make the customer feel comfortable in a new and modern, yet familiar space [that is] softly lit up with a golden whisky light,” summarises Schiavon on the bespoke Quaich experience that will be sure to peak the interests of whisky lovers in Singapore this year.